But a larger tension is playing out at the summit: can the forces organizing and sponsoring it that have ties to the oil and gas industry also drive a sufficient response to climate change? 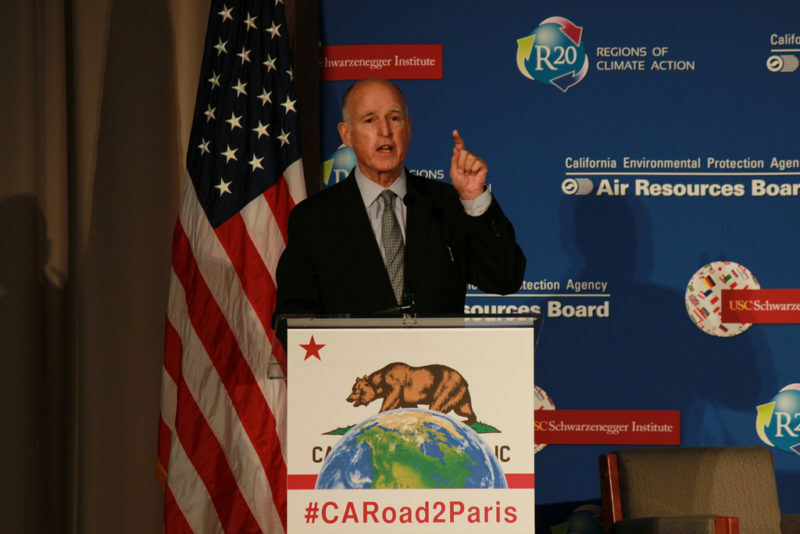 Can their strategy of slowly crafting corporate-friendly incentives to cut emissions get the job done, or is more direct action needed to curb carbon emissions at the point of production – including of the so-called “good” fossil fuel, natural gas? 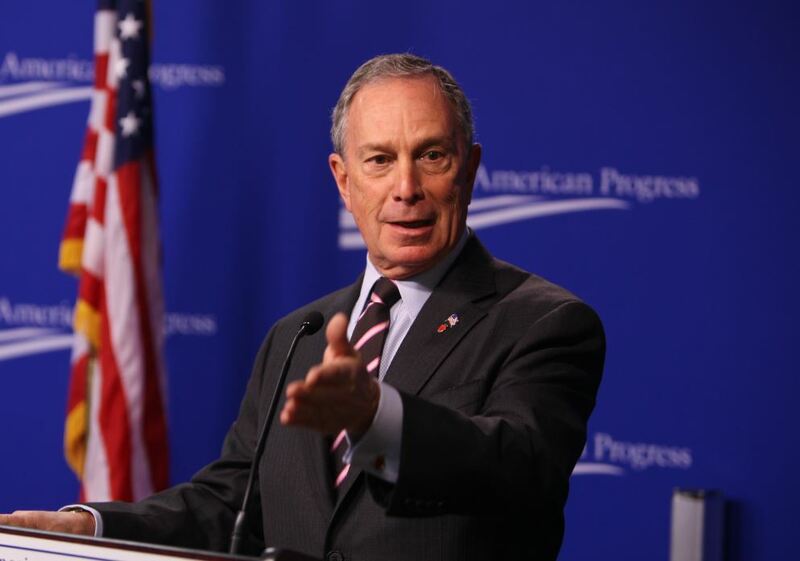 For example, as we’ve written, summit co-chair Michael Bloomberg is a big advocate of fracking – “it makes sense to frack,” he once wrote – and he invests in oil and gas (“we are natural gas bulls,” said the firm that exists solely to manage Bloomberg’s billions). 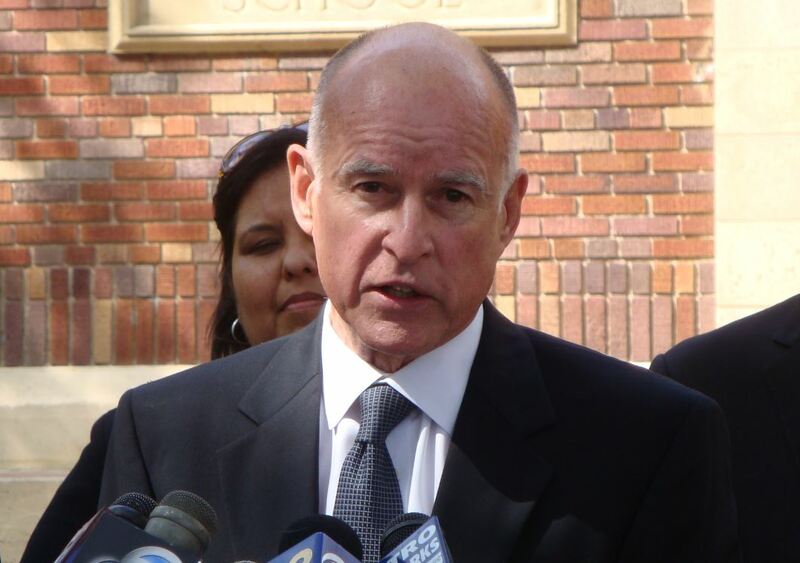 And while Jerry Brown is sold as a climate visionary, he also refuses to ban fracking, has taken big donations from the oil and gas industry, and has permitted thousands of new drilling sites in California – among other things. A prime expression of this tension at the summit is that Bank of America and Wells Fargo are corporate sponsors of the gathering. Both banks are some of the biggest enablers of the oil and gas industry – and specifically, of controversial pipeline projects that thousands of climate organizers have been opposing over the past few years. The two banks are leaders in providing credit arrangements to the companies behind the Dakota Access, Bayou Bridge, Atlantic Coast, Mountain Valley, Line 3, and other pipelines. Taken together, this pipeline buildout will lock in huge carbon emissions for decades to come. 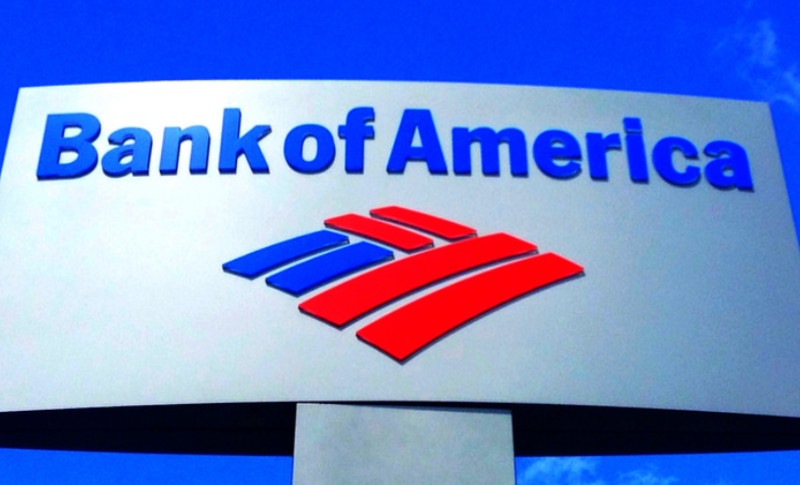 This scenario – that Bank of America and Wells Fargo are backing the very fossil fuel projects that the climate movement has most adamantly opposed – raises the concern that their sponsorship of the summit is an attempt at greenwashing, or using the summit as a public relations move to deflect criticism from their role in financing and profiting from expanded fossil fuel production. Dakota Access Pipeline. Both Bank of America and Wells Fargo are lenders in a $4 billion credit arrangement with Energy Transfer Partners, one of the owners of the Dakota Access Pipeline. Wells Fargo is Administrative Agent for the credit arrangement. While the exact amount each bank is contributing to the arrangement is not disclosed, the number is almost certainly in the hundreds of millions. Bank of America ($243 million) and Wells Fargo ($100 million) are also lenders to DAPL co-owner Phillips 66. Bayou Bridge Pipeline. Energy Transfer Partners and Phillips 66 also co-own Bayou Bridge, the controversial 163 mile pipeline being built across Louisiana. The credit arrangements that Bank of America and Wells Fargo have with ETP and Phillips 66 described above also applies here – the banks are enabling both DAPL and Bayou Bridge. Line 3 Pipeline. Bank of America and Wells Fargo are lending Enbridge up to $90 million together. Not only in Enbridge a stakeholder in the Dakota Access Pipeline, but it owns the Line 3 pipeline that is being built across Minnesota to delivers Tar Sands crude oil into the US from Canada. Atlantic Coast Pipeline. Both Bank of America and Wells Fargo participate in the $3.25 billion credit facility for Atlantic Coast Pipeline LLC. Bank of America is the Joint Lead Arranger and has committed $255 million, while Wells Fargo has committed $153 million. The ACP is being built across West Virginia, Virginia, and North Carolina, and has faced a range of problems and intense opposition). These credit arrangements are indispensable to these pipeline projects, which would likely not be possible without the support of Bank of America, Wells Fargo, and others. (It should also be added that the two banks provide lending arrangements and other services for private prisons and the gun industry that have been strongly criticised). The banks’ sponsorship of the summit is just the most recent examples of the half-baked environmental gestures they make in order to appear as climate progressives and cover up the role they play in propping up and profiting off of oil and gas production. For example, both Bank of America and Wells Fargo have sections on their websites that invoke their commitments to “sustainability,” “making change,” “clean technology,” and promises to uses billions in the future to promote “low-carbon” energy. They form partnerships with NGOs – like Water.org, for example, which has extensive corporate ties and sponsors – and then they tout this in the press. But these gestures, at best, are far outweighed by these banks’ roles in enabling the build out of fossil fuel production; at worst, they’re cynical public relations strategies that help permit business as usual to continue. This greenwashing process also allows corporate interests to redefine climate action towards vague notions of “sustainability” and “investing in renewables” that almost anyone can agree on – even major players in the fossil fuel industry – but fall short in aggressively responding to the climate crisis. In effect, this functions as branding tactic – a little “sustainability” here, some “green initiatives” there – that corporations can mobilize to boost their reputation and deflect attention from their central role in fossil fuel production. While some of these corporate sustainability initiatives may do a bit of good, the larger problem is how this corporate greenwashing serves to uphold the larger structures and relationships driving fossil fuel emissions. This is the problem with greenwashing: it takes pressure off the corporate interests most responsible for the climate crisis, and it lets them reframe and redefine climate action in directions that are less confrontational towards corporate interests and less able to directly challenge the major source of the crisis – fossil fuel production. Bank of America and Wells Fargo can’t have it both ways: they can’t be seen as forward-looking on climate action at the same time they prop up and profit off of the expansion of oil and gas production. But they do have the power to divest from fossil fuels now, and this would set a major precedent for other banks and corporations to follow. Whether something like that can come out of the climate summit – or will even be discussed – remains to be seen.